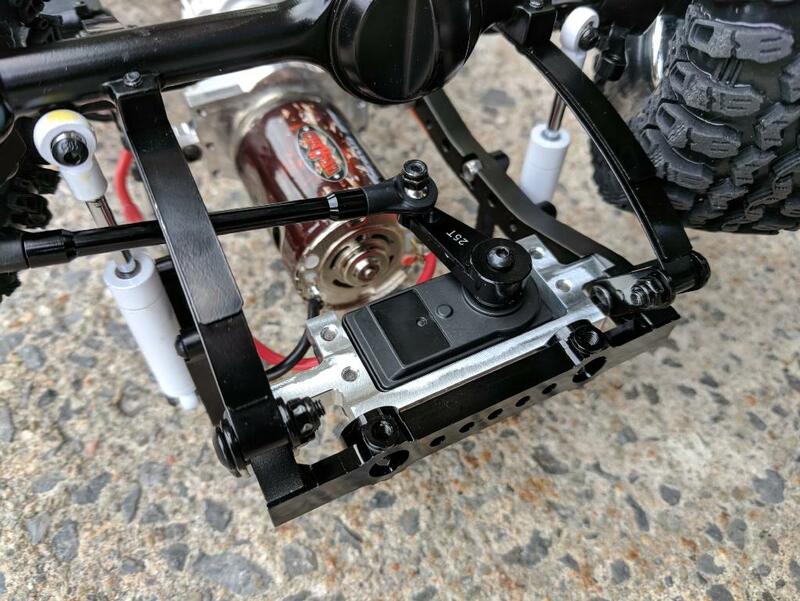 Made specifically for the TF2 trucks, this new servo mount moves the servo all the way up front using all the stock steering parts. 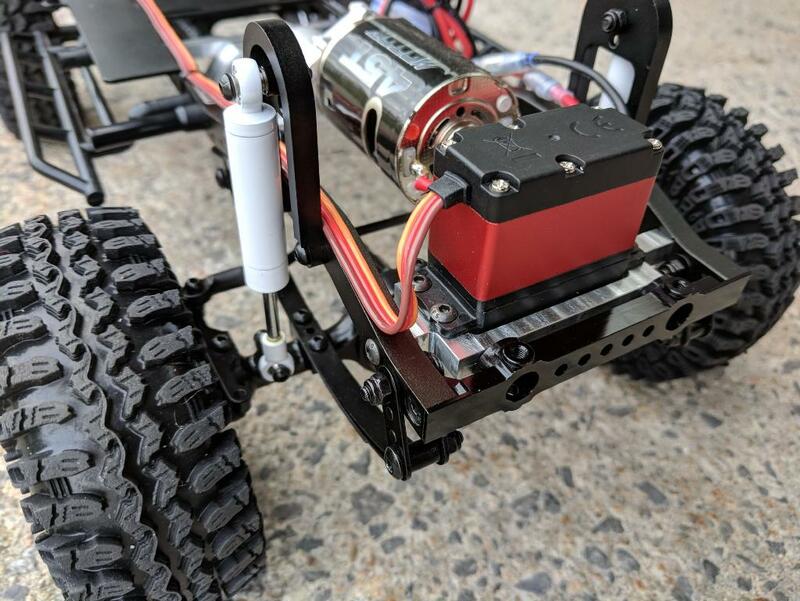 Flip the horn on the servo and reverse direction on the radio for a simple change. We use this servo mount in the LowRange Scale Transmission Conversion kits to make more room in the front for Scale Motors. 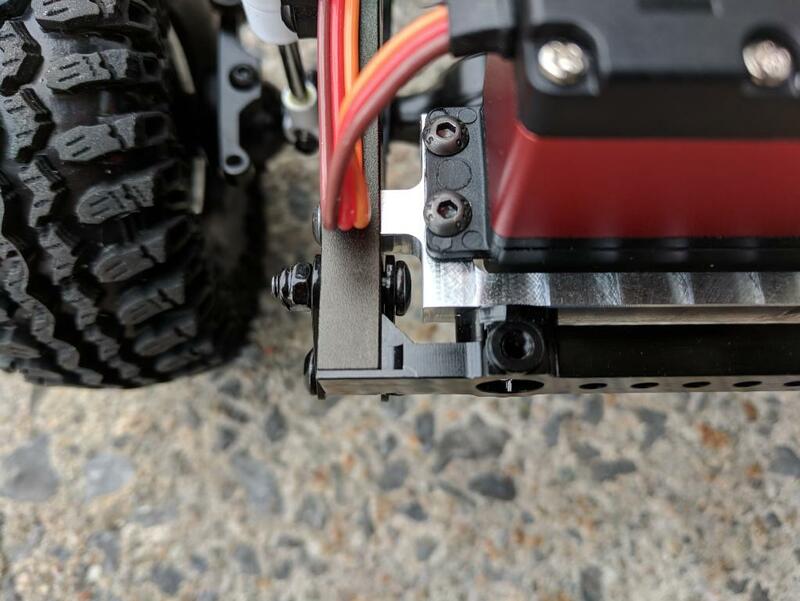 This servo mount install requires the front right spring mount screw and nut to be switched around. The screw must be INside the frame and the nut OUTside the frame for proper fitment. All stock hardware is re-used.